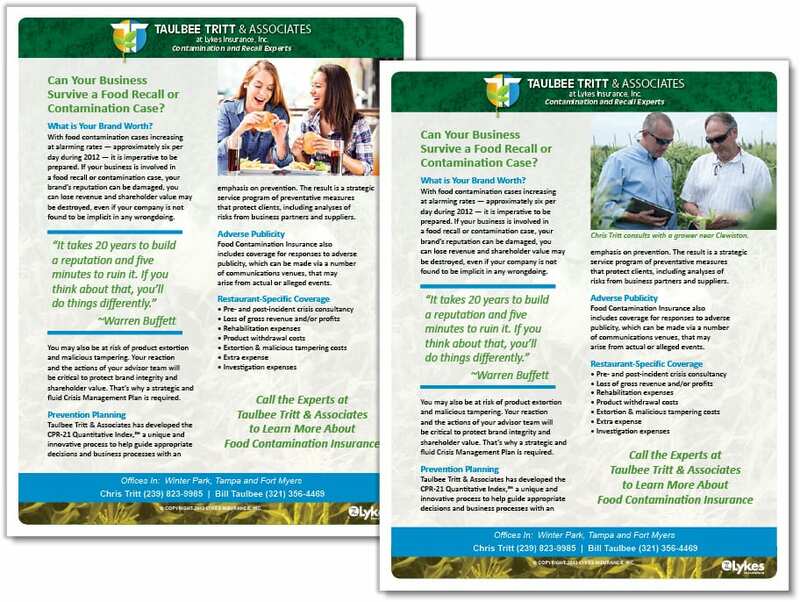 Taulbee Tritt at Lykes Insurance is a food contamination and recall expert firm supporting business’s Food Safety Modernization Act compliance actions and other food-safety strategic objectives. 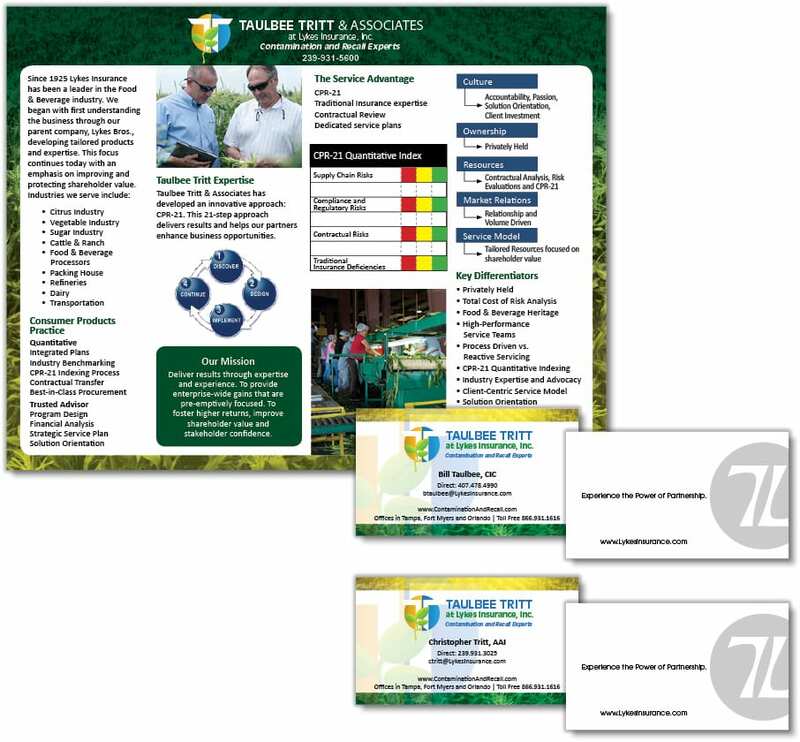 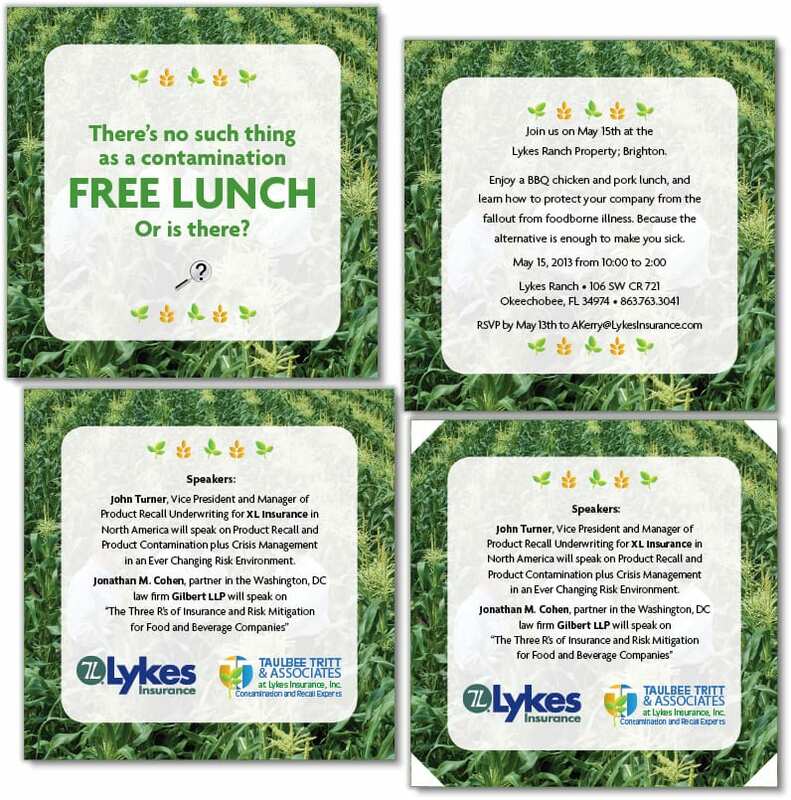 The Brand Architects® at Spiro & Associates created the brand for this startup business, and also designed and developed direct marketing pieces, letterhead, credential package, website, logo, flyers, and a placemat for “lunch-and-learn” presentation events. 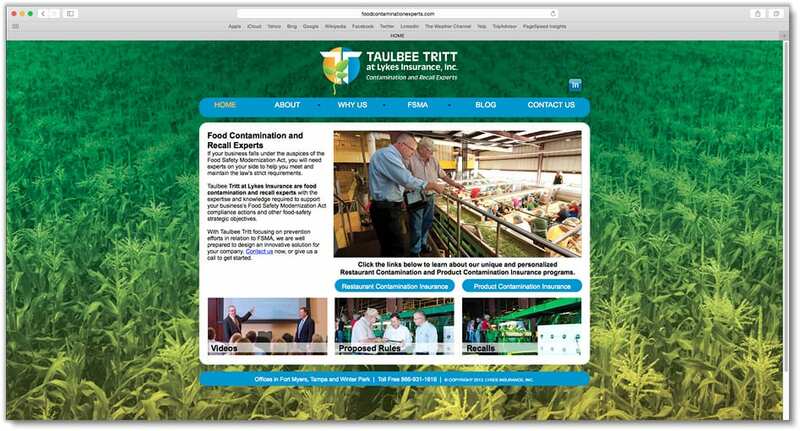 The Agency also provided ongoing public relations services.